Don Jaime de Astarola is Spain's greatest fencing master...a man of honor, an anachronism...and the perfector of the deadly unstoppable thrust technique. 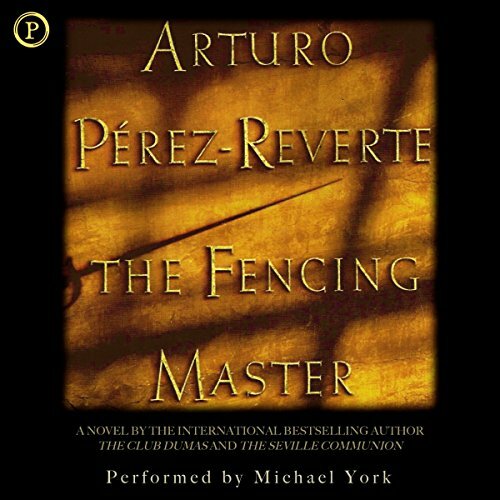 He lives an ordered and celibate life dedicated to one passion: the art of fencing...until the beautiful and mysterious Adela de Otero destabilizes his tranquil existence, and he finds himself involved in a plot of seduction, politics, secret documents, and murder. A great story with a flavor of the classic novels (like Dumas) narrated by a great narrator. However, I think it is a pity that this was not an unabridged work. This is a beautifully written, deeply engrossing mystery with an eloquent, unforgettable portrayal of an aging hero. Michael York's reading is nothing short of brilliant.